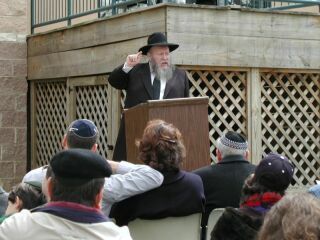 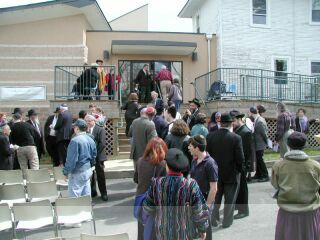 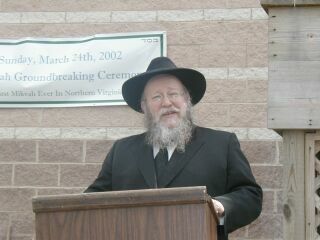 "On the subject of the campaign to popularize the observance of Taharat Hamishpacha (Family Purity) in your community, ponder this deeply: Let us imagine that G-d were to give you the opportunity to save a Jewish community from extinction (G-d forbid), you would certainly be willing to risk your life for this and you would thank and praise him for His great kindness in offering you an opportunity of such enormous merit. 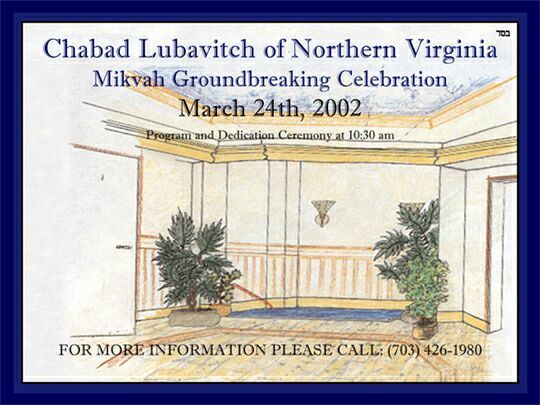 The same then holds true to an even greater degree with regard to the campaign for Taharat Hamishpacha; it is an endeavor which literally saves lives." 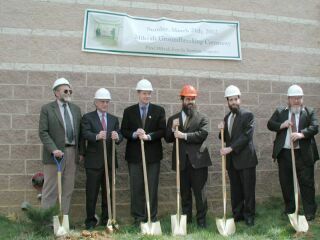 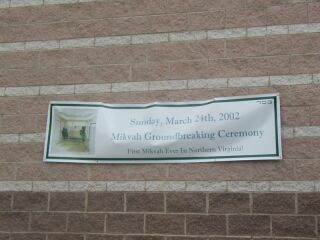 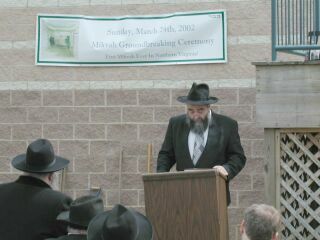 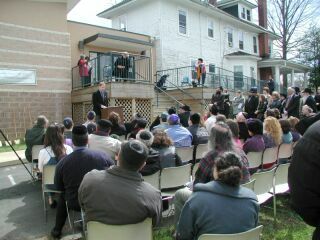 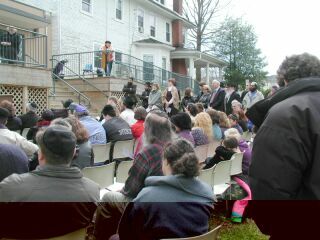 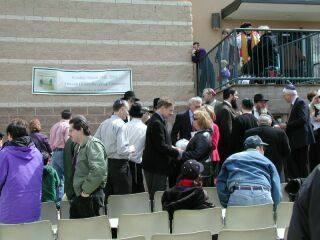 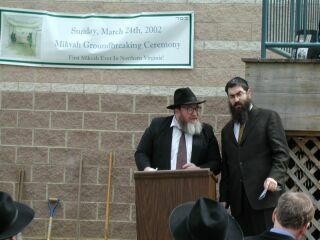 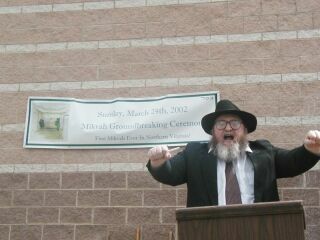 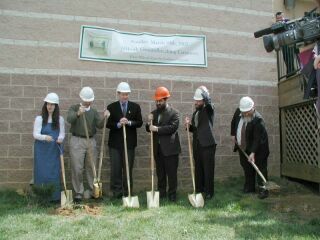 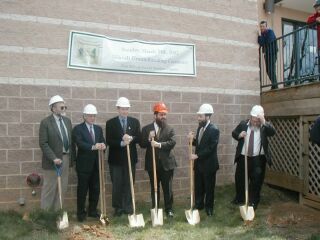 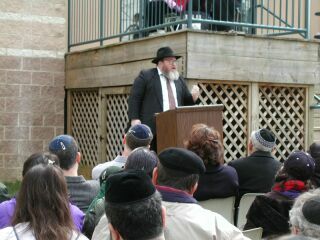 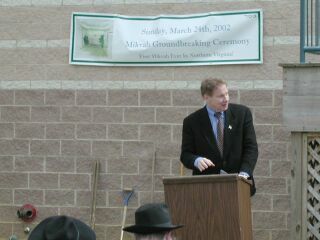 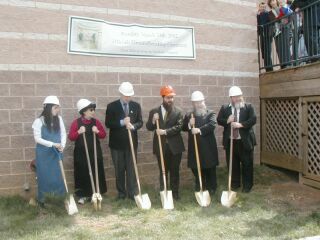 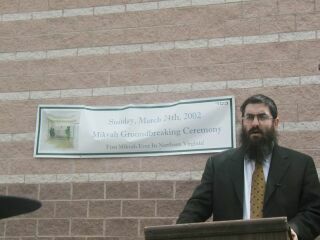 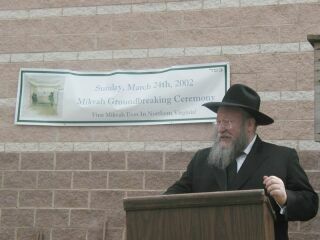 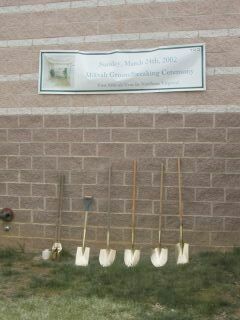 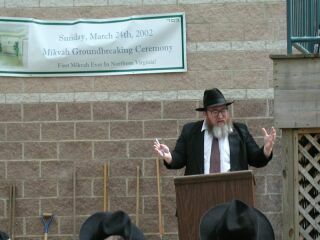 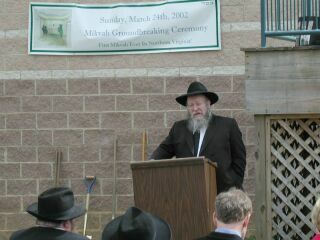 We were honored to be joined in this Groundbreaking Ceremony by Rabbi Shmuel Butman, Rabbi Yitzchok Breitowitz, and the Hon. 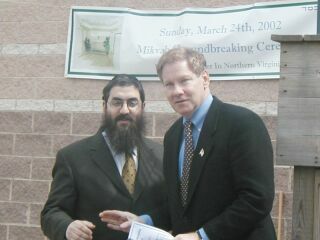 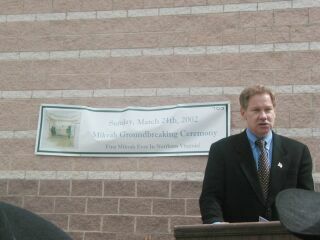 Congressman Tom Davis Jr.